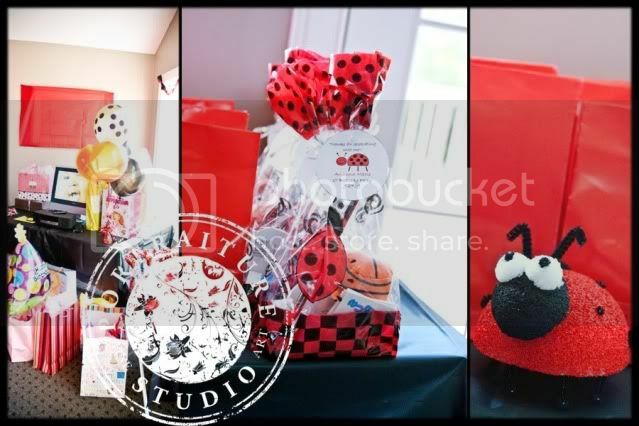 my next winning feature goes to this beautiful ladybug birthday party via amy harnish photography. 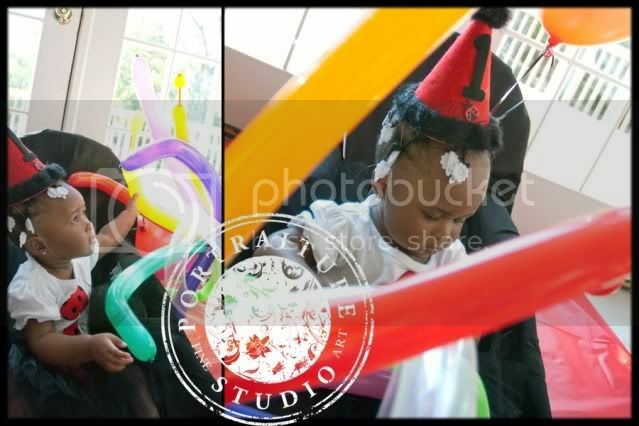 what a darling party, and what a darling little girl! i love the smash cake. 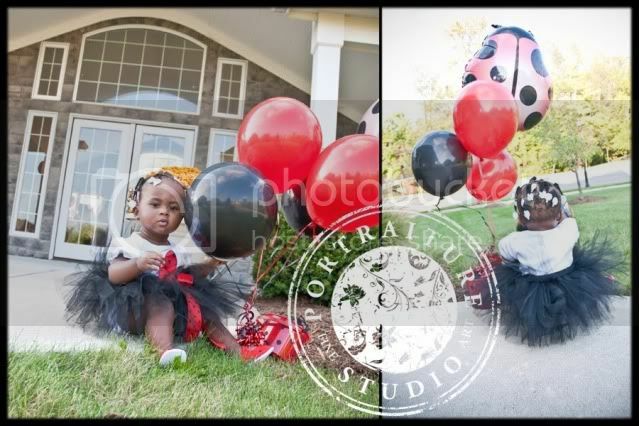 and look at the birthday girls little ladybug outfit/tutu! so cute. congratulations on being the winning feature today, amy! 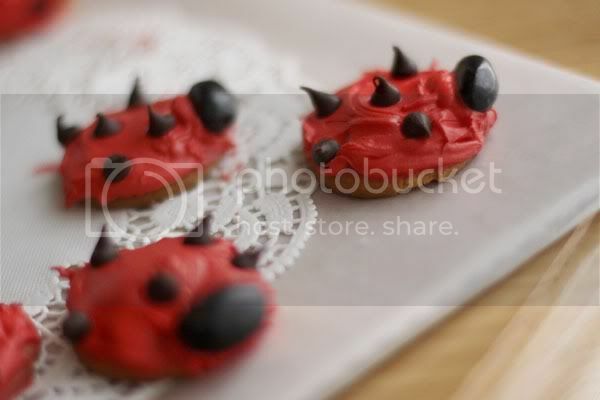 these cookies would be a darling treat at any ladybug party. for instructions go here. and take a look at this party pack found here. 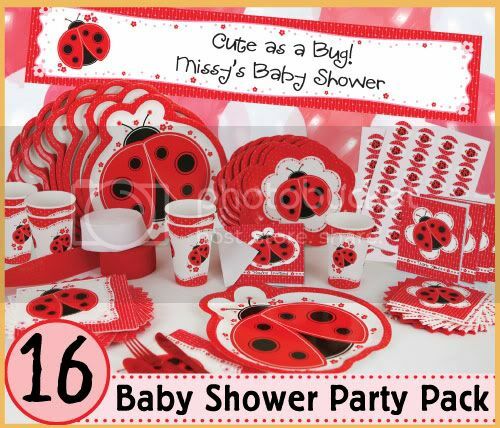 this particular pack is customized for a baby shower but could easily be customized for a birthday party. so adorable! I love those favor bags! Just darling! Loving her outfit! Awwww.. this is so cute!! Speaking of party packs.. I am giving away a Sunflower Soiree "party parcel" on my blog. Please check it out! 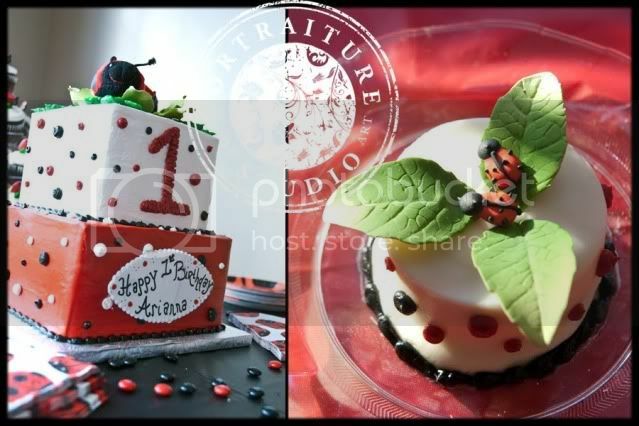 Very cute...I love the cake and the cookies! I'm lovin that cake!... and that little girl is ADORABLE!!! 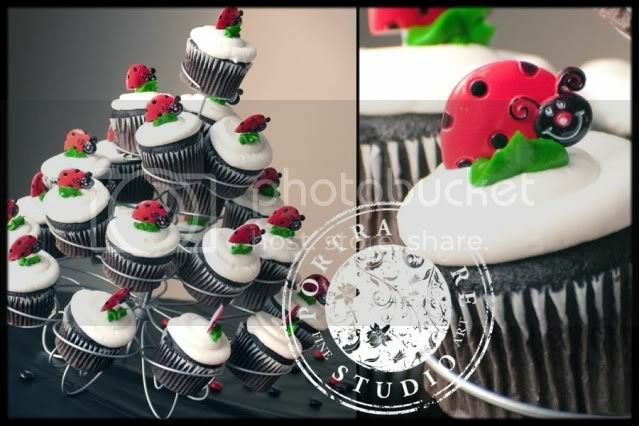 All of those treats and cakes look sooo delicious and sooo pretty! What a cute little party!! Very Cute pictures out there, Love it so much.